Avoid food or drinks (including water) for eight hours before surgery. Arrange to have someone at least 18 years old accompany you to your surgery appointment and drive you home afterward. You may be drowsy for a while after anesthesia, and driving yourself is unsafe. Wear loose, comfortable clothing with sleeves that can be rolled up easily. Avoid smoking for at least 48 hours before surgery. Remove fingernail polish to allow for oxygen monitoring. Do not wear eye makeup or lipstick. Adhere to any medications you normally take as recommended by your physician or prescribed by Dr. Kazemi prior to surgery. Any medications taken on a daily basis may be taken on the morning of surgery with a small sip of water. Asthmatic patients: Please bring your inhaler with you on the day of surgery. Diabetic patients: If you are insulin-dependent, please take 1/2 of your normal dosage the morning of surgery. Steroid medications: On the morning of surgery, please double your normal dosage of medications. Vitamin D Supplementation: Patients undergoing significant bone grafting and dental implant treatments are recommended to take 5000 units daily, starting 2 weeks before surgery and continue for 3-6 months after surgery. This medication is available over the counter. For patients with heart murmur:Or prosthetic joints requiring antibiotic prophylaxis, prescribed antibiotics should be taken 1 hour before surgery. (please note that guidelines have changed and most antibiotics are no longer required for many types of heart murmurs- Call us for clarification or review current recommendations for prophylaxis in the FAQ section. Learn more about other medical conditions and associated precautions. For convenience we will give you necessary pain and antibiotic medications as part of your treatment and save you a trip to the pharmacy. Although for some medications, you will be given prescriptions. It is best to get such prescriptions at your consultation and have them filled prior to surgery. If you have existing pain or infection, you may be recommended to start the antibiotic and pain medications right away. It’s a good idea to place essential things you might need near your bed so you don’t have to get up frequently following surgery. This is especially important if you live alone. Some items to keep close by include: medications, gauze, tissues, water, drinks, a phone, a good book, your laptop, TV remote control, and DVDs. Rinse with salt-water or water every 2 hours for 10-14 days, adhere to soft or liquid diet for 5-7 days, take medications as prescribed, do not smoke, and keep ice on face for 24 hours if instructed. Continue using the gauze, even if you are asleep until the bleeding completely stops. If there is continued bleeding after six hours, place a folded gauze pad directly over the extraction socket. Bite down firmly and hold for 30 minutes. Sit upright and remain quiet. Repeat every 30 to 45 minutes as necessary. If bleeding continues, dip a caffeinated tea bag in cold water and place directly over the extraction site. Avoid spitting or using straws as that causes bleeding by creating suction in the mouth. If you are still unable to control the bleeding, call your oral surgeon. Swelling is expected for more invasive oral surgical procedures. Surgical swelling reaches its maximum in 36-48 hours after surgery. It will gradually resolve over three to five days. To minimize surgical swelling, apply ice to affected facial area for 24 hours. Place ice bag over the face for 20 minutes on and 10 minutes off. If swelling develops three to five days after surgery, this is most likely due to infection. In this case, continue with prescribed antibiotics and call your oral surgeon for instructions. It is best to start pain medications while local anesthesia is still in effect. Take medications with plenty of water. For additional pain relief, narcotic pain medication (Vicodin, Tylenol #3) may be supplemented with Ibuprofen (200-400 mg), or Tylenol, staggered every two hours. If nausea develops, discontinue the narcotic pain medication and take only ibuprofen (Advil, two to three tablets). It is normal for discomfort to last up to five to seven days, gradually decreasing each day. An increase in pain three to five days after surgery without swelling is most likely due to localized inflammation from inadequate oral rinses. Increase oral rinses aggressively every two to three hours. However an increase in pain with swelling is most likely a sign of developing infection. Continue your antibiotics and pain medications as prescribed and call Dr. Kazemi for instructions. Begin the prescribed antibiotics as soon as possible. Take with plenty of water and food. You must complete the course of antibiotics until finished. Follow the suggested dosage and frequency (at night while asleep, keep it as close as possible to your dosage time); If you develop any hives, rashes, or itching, discontinue antibiotics, take Benadryl (25-50 mg) and repeat every six hours until resolved and call your oral surgeon. Drink plenty of fluids such as orange or tomato juice, ginger ale, water, tea, etc. Drink at least six to eight glasses of liquids daily to avoid dehydration. DO NOT USE A STRAW. This will cause bleeding by creating suction in the mouth. A soft diet is recommended for three to five days. Chew on the opposite side of the surgical site if possible. A diet high in protein and carbohydrates is best. Homemade eggnog, using fresh milk, eggs, and fresh fruit blended into it, is an excellent source of both. We also recommend soups, soft pasta, soft rice, Jello, soft boiled eggs, yogurt, soft cereals, and mashed potatoes. Avoid hard or crispy foods for five to seven days. If bowel habits are irregular, we suggest you take a mild laxative such as Milk of Magnesia. See “Nutrition for better healing” for diet recommendations. Avoid smoking for at least 72 hours after surgery to prevent complications such as bleeding. For proper healing, avoid smoking for 10 to 14 days to prevent healing complications such as infection, dry socket, or incomplete closure of the surgical site. One ounce of carbonated water every hour for four to six hours will usually terminate nausea. Coca-cola syrup may also be taken, two tablespoons every four to six hours. Ginger ale or ginger tea also relieve nausea and vomiting. Follow this with mild tea or clear soup. If nausea persists, antihistamines or a Compazine suppository may be helpful. Call your oral surgeon for more information. Do not rinse or brush on the evening of surgery. On the next day begin frequent oral rinses with warm salt water or plain tap water, every two hours, especially after meals. You don’t have to wake up in middle of the night to rinse. Continue this for 10 to 14 days. You can brush your teeth as usual, but avoid the site of surgery or be very gentle in that area. After the first 24 hours, you may be more aggressive with oral rinses. A special irrigating syringe may be used to improve cleansing, if necessary. The key benefit of rinsing is washing away plaque and food, therefore salt or regular water equally work well. Avoid use of alcohol-containing mouth washes for seven days. You may begin using your retainers or night guards on the day following your surgery. If you notice the retainer or the night guard is touching the surgical site, then avoid its use until it can be adjusted by your dentist. Loose sutures: Sutures can loosen after the surgery. This is expected in five to seven days but occasionally may occur in two to three days after surgery. Continue with aggressive oral rinses and medications as prescribed until you are seen during your routine post-operative visit. Also don’t be concerned if a suture comes off completely, even if you accidently swallow it. It will not cause harm. Continue with rinses and contact your oral surgeon for any additional recommendations. Bruising: Bruising after surgery may occur and will present a purplish, bluish color, gradually changing to brown and yellowish. It gradually resolves in five to seven days as it moves down the neck and chest area. Opening of incision site: A small opening may occur at the incision site (over extraction socket, implant site, biopsy site, grafted site, etc.) Continue with aggressive oral rinses and medications as prescribed. Continue with soft or liquid diet and treat the site very gently. Bone graft material: If a site has been grafted, on occasion, you might notice loose small granules in the area. This is not a problem. Continue with oral rinses and soft diet. Whitish tissue: White film over the surgical site might be either plaque or a variation of healing tissue color. Continue with aggressive oral rinses to remove plaque build up. Bleeding: Bleeding decreases gradually over three to four hours after surgery and often stops completely in four to six hours. Apply pressure by biting down or placing finger pressure on gauze. A tea bag can also be applied over the surgical site with pressure. Occasionally, some slight bleeding may occur up to 12 hours after surgery; continue with the same instructions. If bleeding increases six to eight hours after surgery, call your oral surgeon. Drowsiness: Drowsiness is often the result of IV sedation or narcotic pain medications. On occasion, it may last several days, along with weakness. You might decide to change pain medication to non-narcotic, over-the-counter medications such as Advil or Tylenol. Oral Surgery Post-Operative instructions from H. Ryan Kazemi, DMD on Vimeo. In-addition to the general post-operative instructions, below you can find specific procedure-related information and instructions to help you heal better and faster. Keep up aggressive oral rinsing with water or salt water for at least 2 weeks after extraction. If the site was grafted, exercise additional precautions and avoid chewing or disturbing the sutures. Any extraction site takes at least 8-12 weeks to remodel and completely fill in. Maintain effective brushing and rinsing to avoid plaque retention and infection. If the implant temporary healing abutment (cap on top of implant) was placed, avoid chewing or excessive forces for at least 6 weeks. If the implant is submerged under the gum tissue (to be uncovered later) then you can return to normal diet after 7-10 days. Frequent oral rinses and complete cessation from tobacco is crucial in proper healing and preservation of bone around the implants. Any bone graft can become compromised if the covering gum tissue is disrupted and the bone is exposed. Hence, it is crucial to stay on strict soft and liquid diet for 2-3 weeks and maintain frequent and aggressive oral rinsing with water or salt-water. Leave sutures undisturbed and report and increase in pain or swelling after 5 days. Avoid or minimize use of transitional or temporary teeth for 2-3 weeks to allow the gum tissue to mature over the bone graft. Take antibiotic and pain medication as directed. Take an over-the-counter nasal decongestant in pill form for 7-10 days (e.g. Sudafed / Claritin-D). Do not forcefully spit for 1 week. Do not use a straw for 2 weeks. When sneezing, keep your mouth open to avoid potential increased sinus pressure. Drainage of saline from nose during salt water rinsing may be common for several days after surgery. Please keep our office advised of any changes in your condition, especially if drainage or pain increases or persists beyond 2 weeks post surgery. It is important that you keep all future follow up appointments. Do not eat sticky or hard foods that may cause excessive pressure or pull on the chain. In the event, the chain is de-bonded, please contact us immediately. We can re-bond the gold. This may require a minor procedure re-exposing the site. Teeth that have suffered trauma may have been splinted for stability and healing. It is crucial to leave the splint intact and avoid any excessive pressure on the teeth for about 6 weeks. With wire splints around teeth, it is recommended to use a pediatric brush to maintain the gum tissue clean and free of plaque that can lead to inflammation or infection. If your jaws are wired together, keep a wire cutter with you at all times if necessary during an emergency. If wires get loose, call us immediately. You must minimize excessive forces during the first 6 weeks by adhering to soft or liquid diet only. Stay diligent with your oral rinsing to keep incisions or laceration clean and minimize risks of infection during healing. Keep ice on face for at least 24 hours to help minimize post-operative swelling which maximizes in 2-3 days and then diminishes gradually in 10-14 days. A liquid diet is recommended for two to four weeks. Patients may then advance to a very soft diet (mashed potatoes, soft pastas, etc.) up to six weeks and then gradually return to a regular diet from the sixth to 10th week. Maintain frequent and aggressive oral rinses (every 2 hours) for the first two weeks. If your jaws are wired, carry a wire cutter with you at all times in event of an emergency. If you need any additional information or support during your recovery and you can not find it in your instructions packet, or if you need additional medications, check out our support section for immediate assistance. Good nutrition has clearly demonstrated beneficial effects on the immune system and healing process. Better nutrition can also help your incisions heal. Your diet and nutritional supplements will provide the raw materials your immune system needs to protect you against infection. These same nutritional elements are what you will use to repair your gum tissue, bone, skin, nerves, blood vessels, muscle, and bone. Calorie needs: 15 to 20 calories per pound of body weight. Drink six to eight cups of water per day to avoid dehydration. Drink ginger ale or ginger tea which provide relief from nausea and vomiting. Soups provide great nutrition and help restore water balance to keep blood pressure under control. Yogurt is a huge source of calcium and boosts the body’s ability to build bone. Sometimes women who take antibiotics get yeast infections. Eating a cup of yogurt everyday helps prevent yeast infections. A diet high in protein and carbohydrates is best. Oatmeal is a source of beta-glucans which reduce the risk of infection after surgical procedures and boost immunity. Beans contain a wide variety of healthy nutrients including calcium, potassium, vitamin B6, magnesium, folate, and alpha-linolenic acid. These nutrients work together on several key areas of the body to promote total health. Fish is an excellent source of Omega-3 fatty acids, vitamins, and minerals that benefit your general health. Eat soft pasta, soft rice, Jello, soft-boiled eggs, mashed potatoes, ice cream, and smoothies. 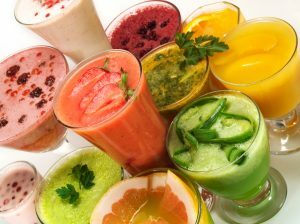 Smoothies are easy to make, and are full of healthy vitamins and nutrients. If bowel habits become irregular, take a mild laxative such as Milk of Magnesia. Papaya and lentils can also help to prevent constipation. Protein helps with healing, tissue repair, and re-growth. It is found in meat, poultry, fish, eggs, milk, and cheese. Carbohydrates provide energy for healing and preventing protein and muscle breakdown. Carbohydrates are found in fruits, vegetables, beans, breads, cereals, rice, pasta, and grains. Lipids (fats) helps with absorption of some vitamins, enhance immune response, and increase energy. They are found in oils, nuts, seeds, avocado, salad dressings, or butter. Calcium helps to build and maintain bones and muscle contraction. It is found in milk, cheese, yogurt, soy products, turnip and mustard greens, broccoli, and almonds. Recommended daily dose is 1500 mg.
Iron helps formation of hemoglobin and increases its oxygen carrying capacity. It is best when taken with Vitamin C rich foods. It is found in liver, lean red meat, poultry, fish, beans, dark leafy greens, and dried fruits. Recommended daily dose is 15 mg.
Zinc is important in wound healing and is a component of many enzymes. It is commonly found in meat, liver, eggs, and seafood. Recommended daily dose is 15 mg.
Vitamin A helps wound healing, as well as maintenance of skin. It is found in carrots, sweet potatoes, dark yellow or green leafy vegetables (i.e. spinach and broccoli), milk, cheese, liver, and egg yolk. The recommended daily dose is 5000 IU. Vitamin D helps in bone healing and calcium absorption. It is found in fortified milk, butter, fortified cereals, liver, fatty fish (salmon), and egg yolks. The recommended daily dose is 400-800 IU. Vitamin E has antioxidant and disease-fighting properties. It is found in vegetable oils, beef liver, milk, eggs, butter, green leafy vegetables, and fortified cereals. The daily recommended dose is 30 IU. Vitamin K helps wound healing response and blood clotting. It is found in green leafy vegetables, fatty fish, liver, and vegetable oils. The daily recommended dose is 65 ug. Vitamin C helps the body with building connective tissue and is an essential nutrient for healing. It is found in citrus fruits, strawberries, tomatoes, peppers, greens, raw cabbage, and melon. The daily recommended dose is 60 mg.
Precautions and special considerations are necessary for patients with certain medical conditions. You may consult with your physician or speak to the oral surgeon for specific recommendations. Patients with heart valve disease may require antibiotic prophylaxis prior to surgery to prevent bacterial endocarditis. High-risk patients requiring antibiotics include those with artificial heart valves, history of prior infective endocarditis, certain congenital heart conditions, constructed shunts, any repaired congenital defects with prosthetic valves or devices, and cardiac transplant with valve problems. Antibiotics are no longer necessary in patients with mitral valve prolapse, rheumatic heart disease, bicuspid valve disease, calcified aortic stenosis, congenital heart conditions such as ventricular septal defect, atrial septal defect, and hypertrophic cardiomyopathy. The new guidelines were updated in 2007 by the American Heart Association. Patients with a history of heart attacks, chest pains, enlarged hearts, arrhythmia, or valve disease may require special precautions. First, it is important to have a proper physical exam by your doctor to make sure your condition is stable. You may continue all of your medications without change throughout your treatment. Patients who have had heart attack (myocardial infarction) may wait to have elective oral surgery after six months to minimize risks. However, with a good functional status, necessary oral surgical procedures may be performed within six weeks to three months of the episode without undue added risk. Local anesthesia with epinephrine is used with caution and limited dosage in patients with cardiovascular disease. Sedation is highly recommended to minimize stress on a patient’s heart while providing continued monitoring and supplemental oxygen. Your oral surgeon may consult with your doctor for other necessary precautions. Hypertension must be controlled with proper blood pressure medications prior to your surgery. Do not alter your regimen; all medications should be taken normally thoroughout your treatment. If you are on Coumadin, it is best to stop taking it 72 hours before surgery, if approved by your physician. If it is not advisable to stop the Coumadin, your physician may change the dosage and perform a blood test to check the levels. Patients on aspirin or Plavix may continue the medication as routine, although bleeding might be slightly more prolonged. Patients with bleeding disorders should see their hematologist prior to any oral surgery. If having IV sedation, bring your inhaler with you on the day of surgery. Two puffs are usually recommended right before surgery. Patients with severe asthma that has required hospitalization may require other therapy by their physician before surgery. Patients with uncontrolled diabetes have significant chances of infection and poor healing. Proper control is essential for overall health. Well controlled diabetic patients can have oral surgery safely with no more risk for infections than non-diabetic patients. If you are insulin-dependent and having IV sedation, take half of your normal dose on the morning of surgery as you cannot eat or drink anything. You will be given IV fluids with dextrose to help keep you sugar level up during surgery. Non-insulin dependent patients may continue other medications as normally as possible. Antibiotics are often prescribed after the surgery as prophylaxis. Patients with adrenal insufficiency or long term steroid therapy for various medical conditions have decreased production of natural steroids, critical in many regulatory functions of the body. For these patients, it is recommended that steroid supplement dosage be doubled on the morning of surgery. It may also be administered intravenously during surgery. Patients taking bisphosphonate drugs may have increased risk of osteonecrosis of the jaw bone. Patients using the oral form (Fosamax, Actonel, and Boniva) for more than three years should discontinue medication for 3 months before surgery. Those on IV form (Zometa, Aredia, Boniva-IV) are advisedt to avoid surgery and seek non-surgical options. Risks and benefits should be discussed thoroughly with your surgeon. It is always best to defer any elective oral surgery until after delivery. Treatment in the first or last trimester is discouraged, unless absolutely necessary. However, if oral surgery must be performed due to pain or infection, local anesthesia is the only method of choice. Medications considered safest are acetaminophen, penicillin, codeine, erythromycin, and cephalosporin. Aspirin and ibuprofen should not be used because of possible bleeding. Medications known to enter milk and potentially affect infants should be avoided. Acceptable drugs can be administered according to age and size of the baby. The older the child, the less chance of a problem with the drug. Drugs that can be used sparingly include acetaminophen, antihistamines, codeine, erythromycin, fluoride, lidocaine, and clindamycin. Drugs that are potentially harmful to the infant include ampicillin, aspirin, barbiturates, diazepam, penicillin, and tetracyclines. Patients with gag reflex may have difficulty tolerating upper wisdom teeth surgery. IV sedation is highly recommended to prevent gag reflex and make the patient comfortable during surgery. Your child’s experience is largely affected by his or her preconception and what you communicate to him or her prior to the visit. Avoid surprises: discuss the reason for the visit and explain how going to the dentist will make them feel better. Be positively suggestive: Telling a child “you will not have any pain” may suggest to them that there will be pain, otherwise why would you bring it up? It is better to make positive suggestions like: “You will have a happy tooth again,” or “You will be able to eat again,” or “This will help to bring your adult teeth in sooner,” etc. Create the perception for your child that he or she is in charge: Children respond well to making decision and not being forced into it. You can do this by telling them: “Dr. Kazemi will ask you a lot of questions and he won’t do anything you don’t want him to. You can give him permission for everything he does.” We use this communication strategy often and it has been very successful.